GRAMMY® Award-winning multiplatinum hip-hop icons The Roots and artist Bilal will be performing “It Ain’t Fair” TONIGHT on Late Night With Seth Meyers. The original song is a standout on the critically acclaimed motion picture DETROIT soundtrack. “’It Ain’t Fair’ was designed to emphasize the importance of social justice through the prism of late-sixties Detroit, which means many things culturally and politically, and also certain things musically. Music has the power to express both anguish and hope,” explains The Roots drummer and producer Questlove. From Kathryn Bigelow, two-time Academy Award®– winning director of THE HURT LOCKER and ZERO DARK THIRTY, and Annapurna Pictures, DETROIT captures one of the most terrifying events during the riots that took place over five tumultuous summer days in 1967. The DETROIT Original Motion Picture Soundtrack captures light amidst one of America’s darkest times by illuminating the power at the heart of the Motown, Detroit, and late sixties cultures all at once. It’s the sound of change in the face of oppression and a moment of revolution brought to life in song and on screen. The legendary Roots Crew have become one of the best known and most respected hip-hop acts in the business, winning four GRAMMYS, including “Best R&B Album” for Wake Up!, “Best Traditional R&B Vocal Performance” for “Hang in There” (with John Legend) and “Best Group or Duo R&B Vocal Performance” for “Shine.” This brings the band’s GRAMMY nomination count to twelve. Additionally, “The Roots Picnic,” a yearly star-studded mix of musicians, has become a celebrated institution. 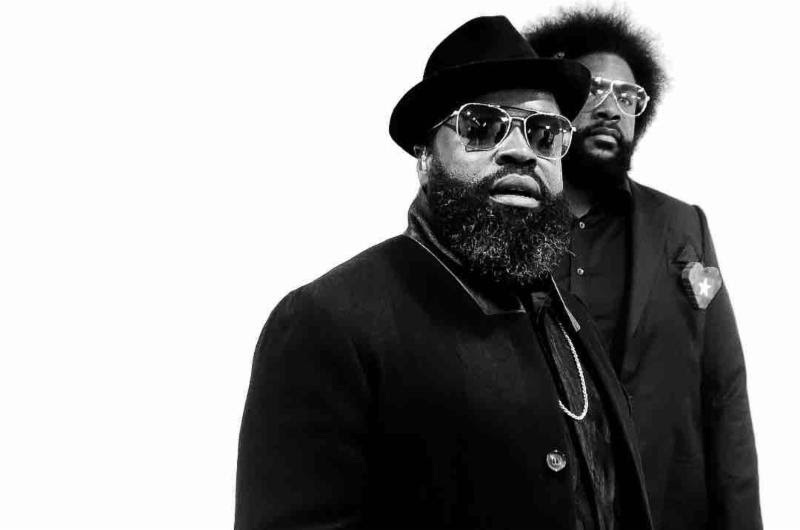 The Roots were named one of the greatest live bands around by Rolling Stone and serve as the official house band on The Tonight Show Starring Jimmy Fallon. Most recently, The Roots announced that they are developing an animated children’s series, along with a live action children’s series, in partnership with Amazon. GRETA VAN FLEET MAKE TELEVISION DEBUT THIS THURSDAY, JULY 26TH! July 24, 2018 Bernard Cana General Announcements, TV Comments Off on GRETA VAN FLEET MAKE TELEVISION DEBUT THIS THURSDAY, JULY 26TH! Make their late night television debut performing their new single, “When The Curtain Falls” THURSDAY, JULY 26, 2018 11:35PM ET/PT 10:35PM CT NBC-TV Check out these articles!